Check out these proper watering tips to make sure your grass and plants are healthy! Proper watering is crucial for your grass and plants, and if you are unaware of the correct way to water, it can be detrimental to your lawn. There are many things you can be doing wrong when watering your lawn, including watering at the wrong time of day, giving plants too much or too little water, and using the wrong tools. Continue reading for a few tips on watering your grass and plants correctly for a happy and healthy lawn. There are many common mistakes that people make when watering their lawn, but they can easily be fixed. If you have a sprinkler system, you shouldn’t rely on a timer to know when your plants need water. If you are dependent on a timer in the summer, you may end up watering your plants on when it’s raining or on an extremely hot afternoon, resulting in the water evaporating into the air before reaching the roots. Another common mistake is watering too often, as your grass doesn’t need water every day. This is not only a waste of water, it also causes damage to your lawn. 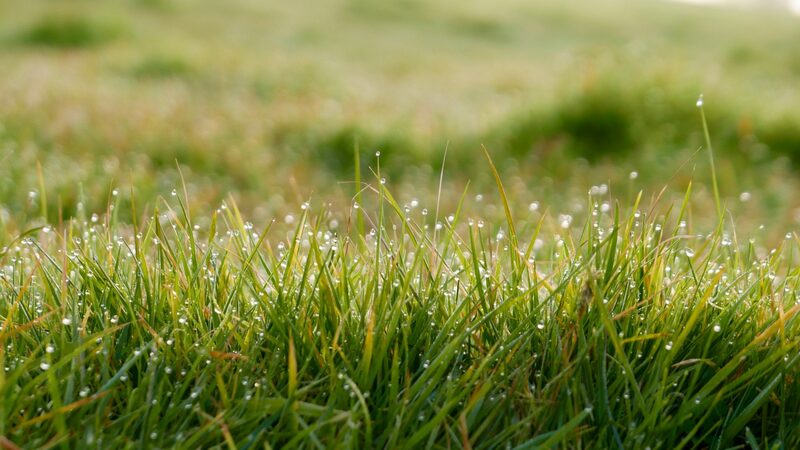 To know when your grass or plants need water, it’s best to check on them manually. Simply pull the mulch away from the drip line of a plant and insert your finger one to two inches into the soil. If it feels damp, there is no need to water, and if it feels dry, you know that it’s time to give your plants a drink. You may want to get watering done with as quickly as possible, but plants prefer to be soaked slowly. Watering slowly is a much better technique, as the soil and your plants can absorb the moisture fully. Sprinkler systems are convenient, but the best way to water plants is by using a hose. Run the hose at less than half pressure near the base of your plants, and watch as the water puddles around the plant, and stop when it takes more than ten seconds to drain. The best time to water is early in the morning, especially during the summer when the afternoon sun is too strong. In the morning, the majority of the water will make it to the roots, and excess water will evaporate throughout the day. Any water that sits on the grass blades or around the plants can lead to disease. This entry was posted on Thursday, August 2nd, 2018 at 11:21 am. Both comments and pings are currently closed.